S.J. Clarkson’s adaption of Nigel Slater’s autobiography is one of six indpendent UK films to be shown at ten different US cities as part of the showcase. Six independent UK films will be shown across ten different US cities as part of a new showcase curated by the Film Society of Lincoln Center (FSLC) in partnership with Emerging Pictures and the UK Film Council. From Britain With Love kicks off on June 11 with the US premiere of Toast as part of the opening celebrations for FSLC’s state-of-the-art Elinor Bunin Munroe Film Center. 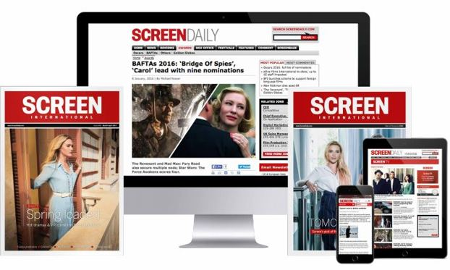 The programme is also supported by partners UK Trade and Investment, BAFTA, and Creative Screen Associates. Each of the films picked for the showcase will be screened once at the FSLC and once at the IFC Center, with simultaneous screenings taking place at cinemas across the US through Emerging Pictures digital cinema network. The screenings will also feature virtual in-conversation events with key cast and crew via online webcasts. In Our Name and Third Star will also receive their US premieres as part of the showcase with NEDs, A Boy Called Dad and Africa United completing the line-up. From Britain With Love follows on from the success of last March’s UK/Indian co-initiative From Blighty With Love where the likes of In The Loop and Man On Wire were screened across 2,000 digital cinemas in Mumbai, Bangalore and Delhi.